In the summer of 2016, I had the good fortune to be selected along with nine other students to attend the 2016 Graduate Workshop in Computational Social Science and Modeling (GWCSS) at the Santa Fe Institute in Santa Fe, NM. Carnegie Mellon Professor John H. Miller and University of Michigan Professor Scott E. Page were our excellent Santa Fe faculty guides for the workshop, which included a combination of lectures on complexity science, complex systems, and computational modeling by Professors Miller and Page, as well as other Santa Fe faculty including Chris Kempes, Simon DeDeo, and Mirta Galesic. 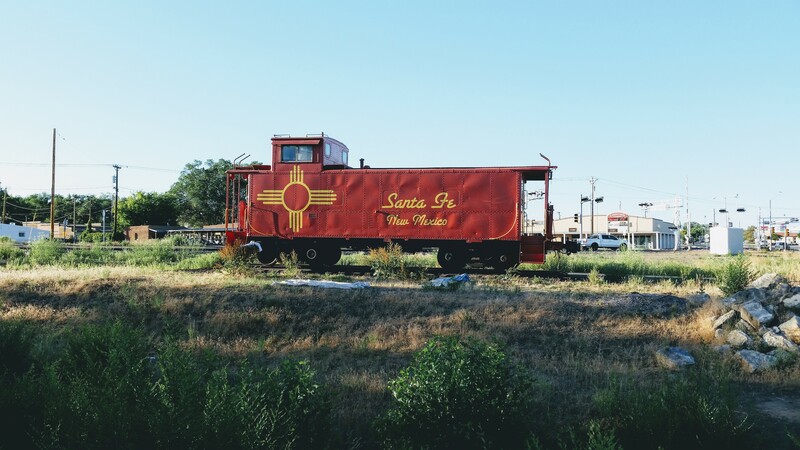 The workshop was a two-week, residential intensive in beautiful Santa Fe. Concurrently, SFI runs a four-week Complex Systems Summer School which brings additional notables in the field of complexity and computational social science, including economist Brian Arthur, Robert Boyd whose 1988 book on cultural evolution coauthored by Peter J. Richerson has been cited more than 7000 times, and Doyne Farmer. As a GWCSS attendee, I was able to attend any of the Summer School lectures I could slip away for. I was incredibly lucky to attend the 2016 workshop with a distinguished cohort of fellow graduate students, from whom I learned a great deal during conversation, discussion, and spirited debate over the course of our two weeks together. During the 2016 GWCSS, I began work on an agent-based model to investigate the role of personality variables in situations in a work setting (view project on ResearchGate). This work continues. I am grateful to have had the opportunity to attend the 2016 Graduate Workshop in Computational Social Science and recommend it highly. If you have an interest in complexity science and computational social science, consider applying for either the 2017 GWCSS or the 2017 Complex Systems Summer School at the Santa Fe Institute. Please note that the application deadline for the 2017 GWCSS is 14 February 2017. More information about the 2016 workshop I attended, including a reading list, is available from the 2016 website and wiki. I stumbled on Charles Kadushin’s excellent book Understanding Social Networks: Theories, Concepts, and Findings (find in a library) last year while preparing for my PhD qualifying exams. I already own Wasserman and Faust’s Social Network Analysis: Methods and Applications, which is pretty much the go-to text and reference on SNA, as well as Borgatti, Everett, and Johnson’s Analyzing Social Networks but as a social scientist, I was looking for social science applications of network science, and Kadushin’s highly accessible book fit the bill nicely. Kadushin, emeritus Professor of Sociology at the CUNY Graduate Center, has been engaged in social science research on network topics since the mid 1960s and has example after example of not only his own work with networks in social science, but also citations of all of the other social scientists I’d expect to see: Ron Burt, Ed Laumann, Stanley Milgram, Stephen Borgatti, Daniel Brass, and Barry Wellman, to name only a few. Kadushin takes a decided and purposefully social approach to social networks, noting in his introduction that although network science can be applied to power grids, for example, understanding social networks really requires examining them “as if people mattered.” Kadushin proceeds to explore both the psychological and sociological theories underpinning networks as well as the social consequences of networks and their structures. The first few chapters provide an overview of network concepts, moving from individual network members (Chapter 2) through entire social networks and their subcomponents and network properties (Chapter 3) and finally network segmentation (Chapter 4). Chapter 5 explores the psychological foundations of social networks and the book continues through successive levels, next examining small groups and leaders (Chapter 6), then entire organizations (Chapter 7), small-world networks and community structures (Chapter 8), followed by network processes like influence and diffusion (Chapter 9). Chapter 10 explores social capital as a function of networks and network position and Chapter 11 gives much-needed attention to ethical dilemmas in social network research. Finally, Chapter 12 reviews “ten master ideas” of social networks. I found Kadushin’s book extremely helpful in pointing to citations of social network analysis applied to social science. For any social scientist interested in social networks, I’d strongly recommend starting with Understanding Social Networks (with Borgatti, Everett, and Johnson’s Analyzing Social Networks as a second choice). I will also note that while Kadushin focuses on social science, he does not shy away from covering the work of physicists and others on networks, though he avoids mathematics in his explanations (but references the appropriate papers). My physical copy of Understanding Social Networks: Theories, Concepts, and Findings is heavily annotated so I also ended up buying the Kindle version, which was only $9.99 at the time of this writing. (The paperback version is $19.96 on Amazon at the time of this writing, but Amazon’s prices do regularly fluctuate). 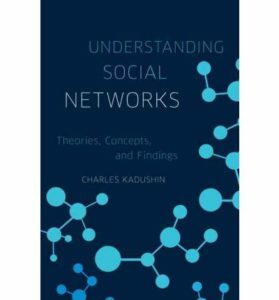 In sum, Kadushin’s Understanding Social Networks: Theories, Concepts, and Findings (find in a library) is probably the most enjoyable book on social networks I’ve read and has been particularly helpful in identifying particular applications of network science in the social sciences. A colleague recently asked how to get started with agent-based modeling (ABM). It’s never been easier to learn ABM, whether you’re a social scientist, physical scientist, engineer, computer scientist, or from any discipline, really. If you want to start right this minute, the very best thing to do is to head over to Uri Wilensky’s NetLogo website, download NetLogo (available for any OS) free of charge, and then work through the three learning tutorials available under “Learning NetLogo” in the User Manual. The first tutorial is titled “Models” and, as its title suggests, introduces you to interacting with existing NetLogo models such as the Wolf-Sheep Predation model of an ecosystem. The second tutorial is titled “Commands” and takes you a bit deeper in issuing commands to the NetLogo interface. The third tutorial is titled “Procedures” and walks you through building a model from scratch – writing the necessary NetLogo code to implement a basic agent-based model. After the three tutorials, the NetLogo website encourages reading through the guides available in the NetLogo documentation (Interface, Info Tab, Programming) and making use of the NetLogo Dictionary, a comprehensive index of NetLogo methods, procedures, and keywords. What’s great about NetLogo is that it is fairly intuitive and “programming” or “coding” in NetLogo is very quickly learned, making a first agent-based model possible in a very short time. If you prefer using a textbook as a guide, my recommendation is Uri Wilensky and Bill Rand’s Introduction to Agent-Based Modeling (find in a library), which uses NetLogo and includes companion code and models to run through all of the essentials of agent-based modeling. Please see my review of Wilensky and Rand’s Introduction to Agent-Based Modeling for more detail on the book – which is excellent – and what it covers. If you want to get started with ABM, download NetLogo today. This is a short post on a minor but consequential pitfall of social network analyses of film actors. One thing that has always bothered me about social network analysis of so-called “actor networks” using data from IMDB is the very simple fact that these analyses are based on the assumption that because two actors appear in the same film, they know each other. Modern filmmaking techniques and the high cost of actor set time incentivizes filmmakers not to have expensive actors on set at the same time unless absolutely necessary. Instead, stand-ins are often used in place of star actors–especially in dialogue scenes–and footage is later edited to put the two star actors together in the finished product. So, in theory, two actors can appear in the same film and even in the same scenes but never actually be on set together. Extrapolating, two actors could appear in the same film and never actually meet. I’ve been waiting to find a solid example and finally found one. Robert Rodriguez (@Rodriguez), the writer-director-producer best known for his films Sin City, From Dusk Til Dawn, Once Upon a Time in Mexico, and Spy Kids, was interviewed on the Tim Ferriss Show and described exactly this situation occurring during Sin City. Rodriguez describes Sin City as one of the most rapidly-executed projects he ever worked on, from initial concept and collaboration with Frank Miller to actually shooting the film in a matter of months. In fact, Rodriguez describes shooting scenes for Sin City with actor Mickey Rourke, in which Rodriguez or another crew member would stand in for the villain who at that time hadn’t been cast. Rutger Hauer was later cast and the complementary footage was shot for the scenes. According to Rodriguez, Rourke and Hauer claim they never met, despite appearing together in a Sin City scene in which Rourke’s character appears to have his hands on Hauer’s throat. The lesson is what every good data scientist and computational modeler should always keep in mind: justify all assumptions and always include or at least consult subject-matter experts who know the system and data being studied!